This week in Beijing’s packed with events. After the final reading yesterday (October 12, 2017), Tracy K. Smith returned to the states. Kevin Young and John Yau along with the Mexican poet Mario Bojórquez went to Wuhan for a 3 day visit. I’m staying in Beijing knowing they are in good hands. While the three will meet with the celebrated poets there such as Zhang Zhihao (张执浩), Jian Nan (剑男) and Xiao Yin (小引), I will introduce some other equally known or less known poets from this big province in central China. Wuhan City is where the Han River meets the Yangtze (and Han becomes the longest tributary of Yangtze), the biggest inland port in China. Of course there’s much more about this city but the province as a whole is even more fascinating. The first great Chinese poet Qu Yuan (屈原 c.340-278 BCE) was born in Yichang-Zigui county. The May 5th Dragon Boat Festival and Dumpling Festival are prominent cultural events in central China, allegedly in memory of Qu Yuan. Next to Zigui is Santouping where the Three Gorges Dam (三峡大坝) was built from 1994 to 2006, the biggest water power in the world and the most controversial one: three million people have been relocated, Yichang-Sandouping (my father’s hometown) doesn’t exist anymore. At the same time, 1282 historical sites of ancient civilization were discovered from 1993 to 2003, the oldest being from 7000 years ago, evidence of the Yangtze River Civilization (长江古文明). In northwestern Hubei, the Shennongjia Forest is even more ancient, the most mysterious region in China, undeveloped, with so much unknown hidden there. Hubei Province has a continuous history of literature, from Qu Yuan to present. Two of the most important early modernist poets, Wen Yiduo and Fei Ming, were originally from Hubei. Currently, it has one of the biggest literary publishing house in the country, Yangtze River Art & Literature Publishing House. Wuhan University, one of the earliest universities in China, established in 1893, has produced many of the most accomplished poets in contemporary time such as Wang Jiaxin (王家新), Li Shaojun (李少君), Qiu Huadong (邱华栋), etc. While Wuhan University has the most open-minded campus like Beijing University and Central China Technology Institute is top-notch in science and technology like Qinghua, Central China Normal University (where Kevin Young and John Yau were invited) is also a national-level university that started as a private college founded by Yale-in-China in 1903 (with an earlier, smaller campus opened in 1871), developed into a comprehensive state-run university among the first-class in the country while maintaining an independent spirit. Of the following seven poets, I met three, Chen He (my publisher), Huang Bin, and Yi Lai, during my last visit to my hometown Wuhan in 2012. Since I lived in many places in my childhood, Sui County, Sha County, Sha City, Xiangyang, Gucheng, etc. I take the whole province as my hometown and I love its nickname: Province of Thousand Lakes. There are 1194 rivers and over a thousand lakes in Hubei. East Lake in Wuchang is the biggest lake-in-city in China (six times bigger than the West Lake in Hangzhou) where I spent many mornings and evenings with my mother (after we left Hankou and before moving to Beijing). Hubei literally means lake north. It’s situated north of Dongting Lake (the third biggest lake in China) which holds the flood from Yangtze. Since both Yangtze River and Han River pass through several provinces, neither Wuhan nor Hubei represent the entire Yangtze or Han but instead the style of Chu Kingdom which I will discuss in another letter. On a warm autumn day in Beijing, what do I remember most about Hubei? 56% mountains, 24% small hills, 20% the Han Prairie. I’ve lived in all these three areas, each distinctively different from others and each distinctively varied from within. Hubei is rich and diversified in its geography, and in its poetry as well. Yu Xiaozhong (b1965, 余笑忠) was born in the rural area of Qichun county in eastern Hubei. 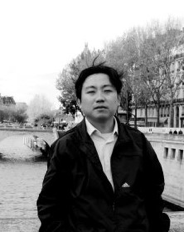 He graduated from Beijing Broadcasting Institute in 1986 and has worked for Hubei TV since then. 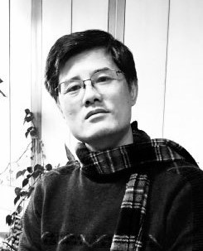 He started writing poetry in college and has won a number of prizes such as the 2003 Chinese Poetry Prize awarded jointly by the Star Poetry Monthly and Poetry Monthly, the third Yangtze River Poetry Prize, and the twelfth October Literary Prize in 2015.
and fold it back in its original folds. as if selecting for each a grave. Chen He (b1967, 沉河) is a poet, essayist, and one of the most celebrated literary editors in the country. He was born in Qianjiang, south-central prairie of Hubei, and became a school teach after graduation from Hubei University. 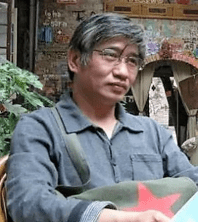 He joined the Yangtze River Art & Literature Publishing House in 2001 as a poetry editor. He has since edited and published the prestigious 21st Century Poetry Series (from 2006 ongoing), several MOOKs (magazine in books), and the most legendary and controversial 30 volumes of New Poetry Canon (2013). He is also the editor of Hieroglyph, a journal that has gathered many local poets. into the worldly life and out. my body flat, no ripples or wrinkles. With eyes closed, I became a breath of air. Huang Bin (b1968, 黄斌) was born in Redcliff in southeastern Hubei, a historically well-known place due to the Redcliff War in the year of 208 CE during the Three Kingdoms Dynasty. 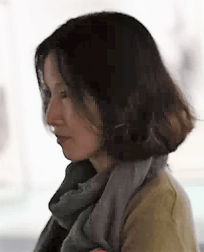 Huang Bin studied journalism at Wuhan University and graduated in 1990. 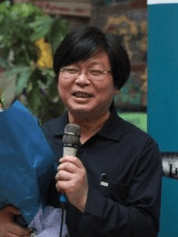 He started writing poetry in 1983, won first place in the national poetry competition in 1994, and continues to write poetry while working for the Hubei Daily as a journalist. He received the ninth Qu Yuan Literary and Art Award in Hubei. trees flourishing in a complicated way. grows like human ambitions and swelling desires. its first appearance stunning. Shocking. 木 mu of four seasons slows down to acquire a 木 image. in more than a few days, or a few weeks. A simple beauty. A holistic miracle. A concrete abstract. immortal in a mortal world. 木 becomes paper, and paper’s full of the words 木. How does 木 in words meet 木 in the woods? How? Hubei Frog (b1968, 湖北青蛙) is the pen name of a migrant worker poet, Gong Chun, who has a very unique voice in a reformed classical style. He was born Gong Chun in Qianjiang county of Hubei, became a migrant worker in 2000 and worked in ten cities around the country. Currently he lives in Shanghai. He has been writing poetry in his spare time and published mostly online with two collections of poems printed without ISBNs. to grow things that make me cry out or gasp. lake-north, swans and frogs they write left and right. Yi Miyi (衣米一), born in Daye, southeastern Hubei, lives in Hainan, South Sea Islands of China. She started writing poetry in 2005, a late starter but has appeared in many journals and has published two collections of poems. compared to opening other things. I’m scared when it’s without a shell. What if it sheds tears? I quickly put it back. Sometimes I try to crack open life. It doesn’t agree to what I do. Yi Lai (亦来, pen name of Zeng Wei) is a poet and scholar, born in 1976 in Zhijiang, southern Hubei. 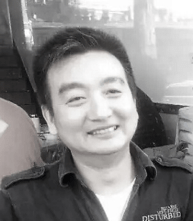 He graduated from Central China Normal University with a BS in Computer Science and a PhD in Comparative Literature and World Literature. He serves as the chief editor of the university press at his alma mater, and currently he is a visiting fellow at the University of Pennsylvania. Hah, what a sultry profession. a peach, a butterfly, or a flying bird. many little creatures rise from hibernation. the lens that passes judgment. in the park or on a T-shaped platform. and will watch out for pollen or mosquitoes. like what we learn from books about optics. a whole pipeline of spring. all he sees is a small bit of darkness. Note: “Darkroom” has appeared in New Cathay: Contemporary Chinese Poetry (Tupelo Press, 2013). The other poems are new translations by the author of the Letter from Beijing series.